Ships tomorrow if you order in the next 18 hours 54 minutes. A healthy immune system is an important part of staying optimally healthy. 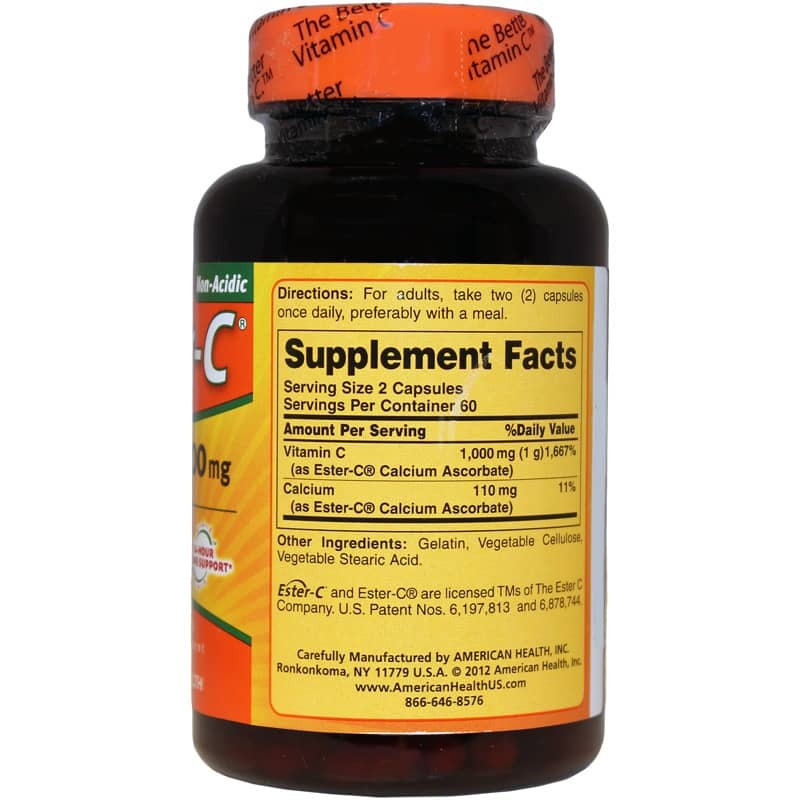 If you've been searching for a potent source of vitamin C to boost your immunity, Ester-C 500mg from American Health is a patented solution you'll love. 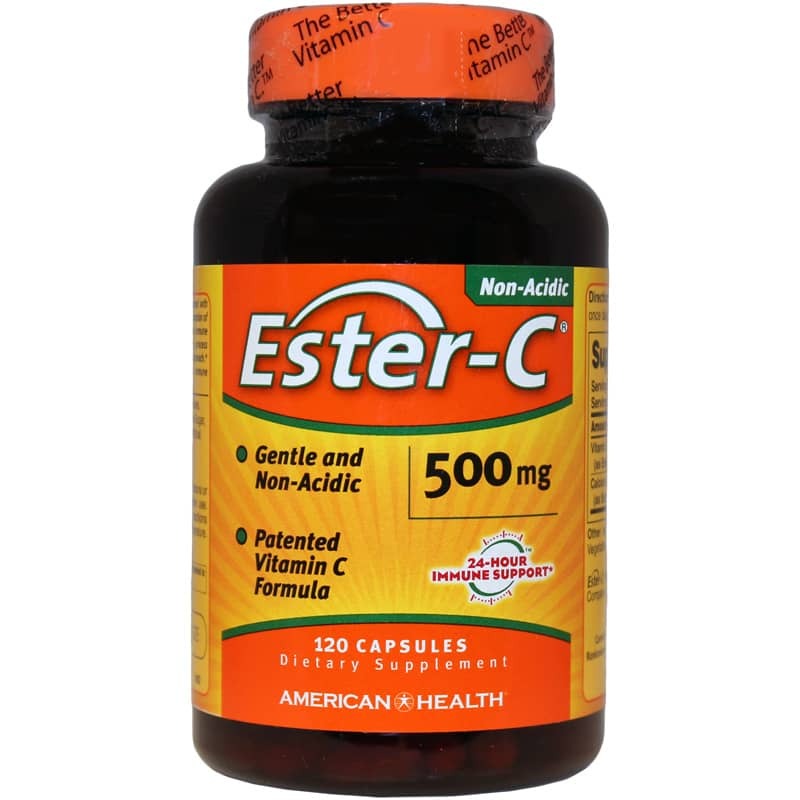 Ester-C 500mg from American Health supports immune system health with the use of metabolites, which help your white blood cells absorb vitamin C.
Other Ingredients: gelatin, vegetable cellulose, vegetable stearic acid. Non-GMO. Contains NO: gluten, yeast, wheat, milk, milk derivatives, lactose, soy, egg, corn, grapefruit, sugar, starch, preservatives, artificial color, artificial flavor, sodium. 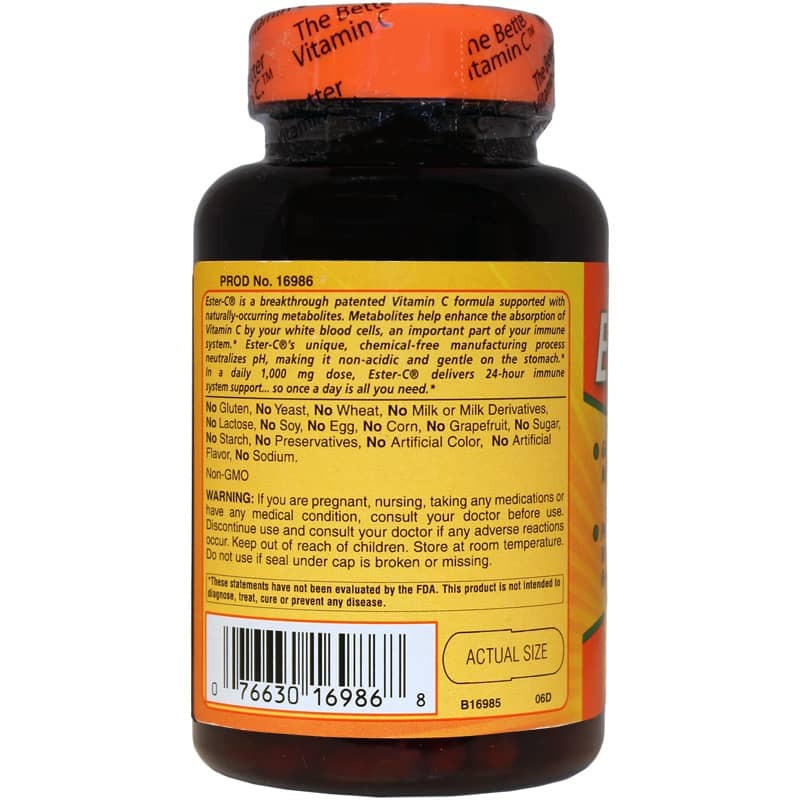 Adults: Take 2 capsules once daily, preferably with a meal. If you are pregnant, nursing, taking any medications, or have a medical condition, please consult your doctor before using this product. Keep out of the reach of children.